The Model 102 Mock Rock comes in and saves the day when it’s little brother the Model 101 can’t quite handle the task at hand. 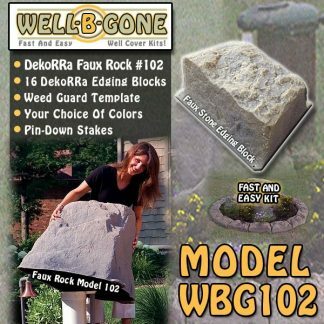 With its squarish frame and subtly rounded edges it’s a sure hit in any yard, garden, flower bed or landscape rock setting. 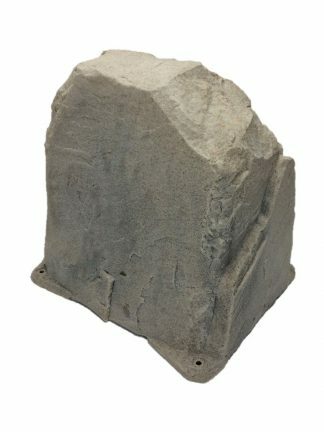 These Model 102 fake rocks are perfect for well caps, and smaller pumps, valves, backflows and utility boxes. 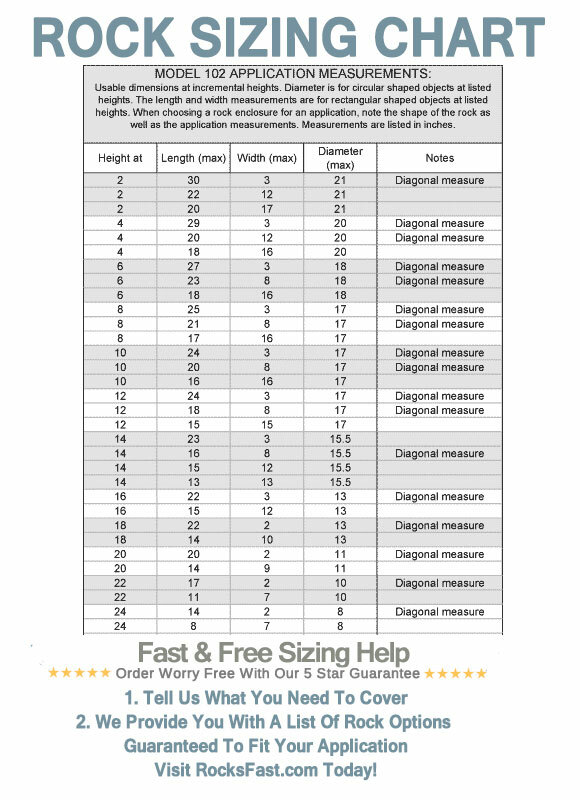 IMPORTANT: Please use the sizing charts below to confirm if these Model 102 fake rocks will work for your application. 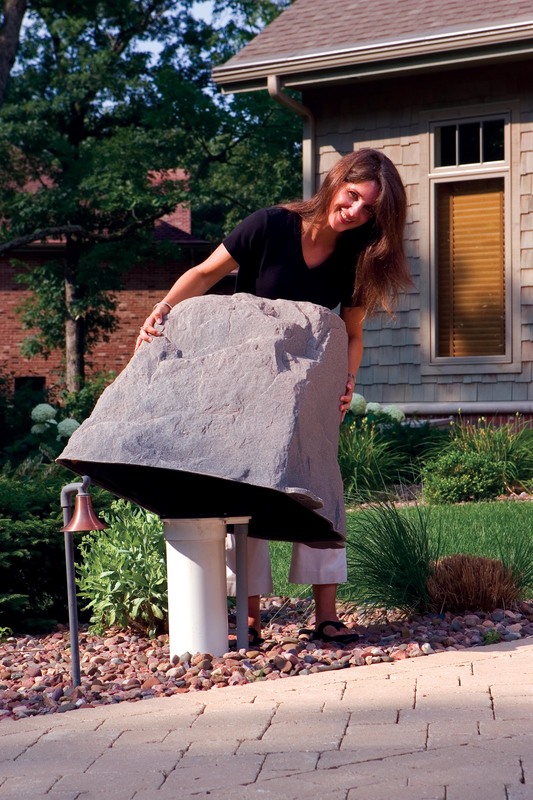 If you’re looking for an artificial rock enclosure that really does look real, then look no further. This rock features incredibly realistic texturing and colorant which will endure the elements without any fading or delamination for many years. Molding uniquely formulated ultraviolet inhibitors into the exterior walls provides total perfection against sun fade and UV weakening. These top grade enclosures will add flair and character to your yard landscape, while totally camouflaging whatever lies underneath. Unlike other brands which appear fake and plastic, even from afar. These DekoRRa models are extremely realistic and built to last. 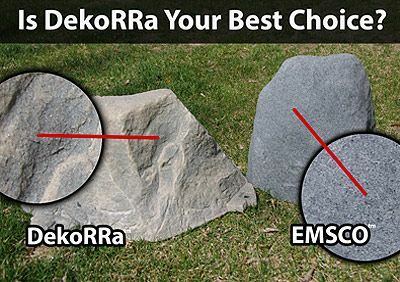 Depending on the type of application, you may need to vent the rock. Vents can be added to your purchase using the drop-down menus next to the add to cart button. Any time an electric pump is being covered venting can be a good idea. We will install the vents and paint them to match your desired rock color free of charge. You can also add insulation to your purchase using the drop-down menus next to the add to cart button. – 100% recycled materials are used in manufacture. – The lightweight hollow design is easy to use. Incredibly durable and stick polyethylene walls. – Totally UV resistant, will not fade. – Colorant and textures are all molded into the walls, not sprayed or painted on. – Made in the USA and totally maintenance free. 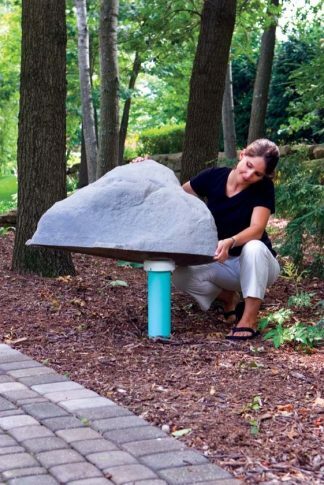 – Hide ugly things in your yard while increasing curb appeal. 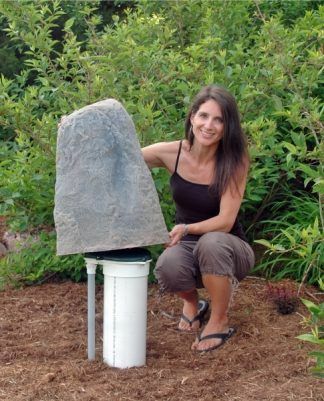 – Ground stakes are included, vents and insulation may be added to purchase. Great looking artificial rock. Everyone who sees it cant believe it’s fake. Fit my water well riser perfectly. Giving it 4 stars because the color is a bit lighter than I wanted. i picked Fieldstone. Shoulda got Riverbed. Great quality though. Super durable and real looking. Real impressed with the shipping and service from Rocksfast. They helped me size this rock perfectly. The rock looks amazing too. 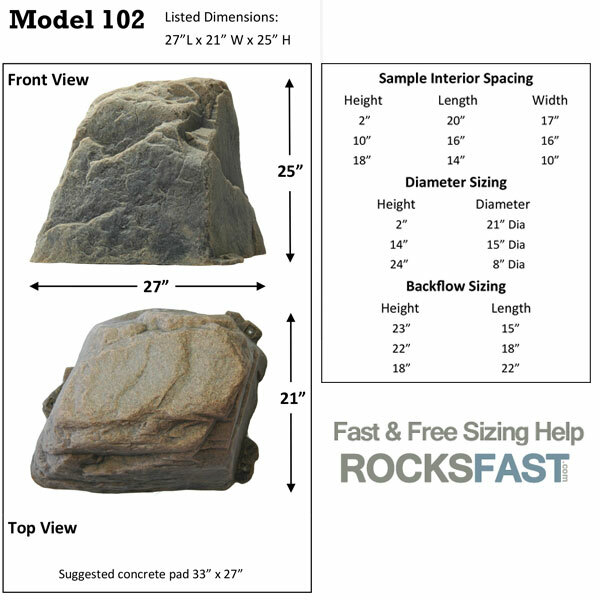 Very happy with the rock, the service given when I emailed measurements and quick delivery. I gave it four stars instead of five because the vents I ordered were silver colored. I thought the vents would match the color of the rock and when I installed them they stuck out like a sore thumb. I painted them to match and am happy now.